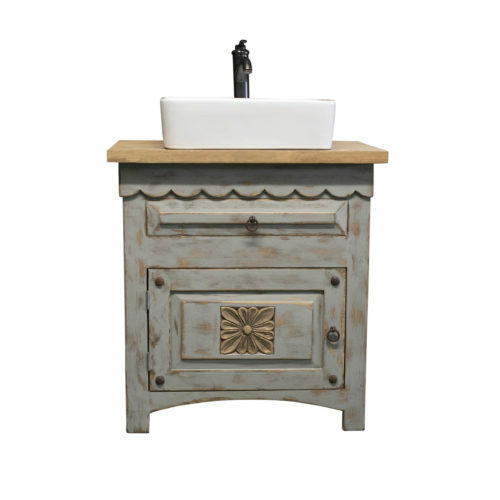 Let us work with you to enhance the look of your bathroom with a rustic style vanity crafted by us but customized by you. No two bathrooms are the same and we believe you should have freedom to customize what goes in yours, to your liking. We will work with you to make your vision become a reality. Simply express your vision and we’ll get to work, expertly crafting your design. Not exactly sure of what you want? 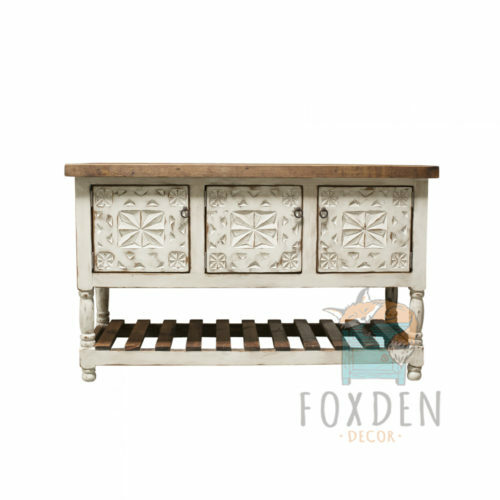 View our existing pieces for inspiration and build from there! 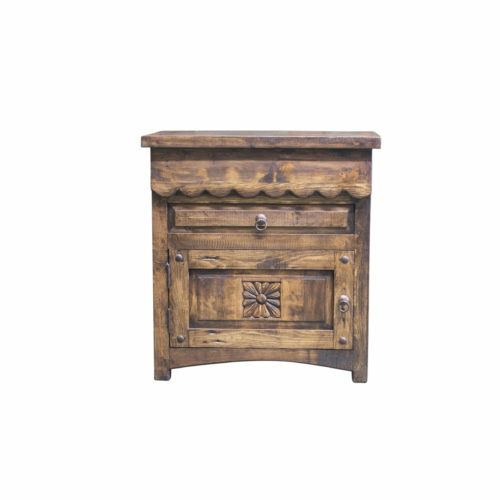 Choose from a wide selection of wood, a unique selection of hardware and a variety of colors to create a perfect piece that will be uniquely yours. We are ready to work with you to make the best choice for your home and to create the bathroom of your dreams! If you have any questions about our products or want something you don’t see, please contact us for assistance. Each completed piece is hand-waxed and buffed to enhance the natural beauty of the wood. If you are interested in a size other than what is shown, we are happy create a detailed sketch of the design to scale, per your request. This is an important step to ensure that all intended elements are able to remain, based on your size customization.